Chicago is known around the world for its architecture, museums, and historic attractions. Millions of visitors flock to the Windy City each year to soak up the food, culture, and entertainment. While there are plenty of things to keep a tourist busy within the city limits, these three suburbs in the greater Chicago metropolitan area offer their own unique attractions that are not to be missed. Echo Limousine is the region’s top-rated car service, providing vehicles and chauffeurs to take customers to all the best locations Chicago has to offer. Travel to and from the suburbs in style with Echo Limousine. A short drive from downtown Chicago, the leafy suburb of Oak Park boasts a number of impressive former residents. Ernest Hemingway was born here, and the city was also the home of Frank Lloyd Wright. 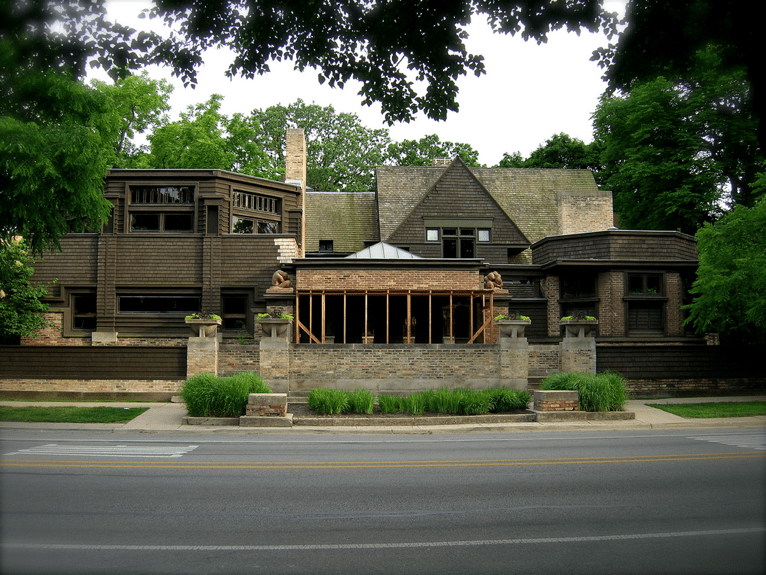 Many of Frank Lloyd Wright’s early buildings still stand. Book a car service for a tour of the city’s cultural landmarks and swing by Hemingway’s Bistro for a glass of wine before heading back to the city. The suburb of Geneva is just over 40 miles from Chicago, but it feels like it’s a world away. This hamlet along the Fox River boasts a blossoming bar and restaurant scene along Third Street, and plenty of tree-lined avenues fit for a romantic stroll. Anyone who has seen Ferris Bueller’s Day Off, Sixteen Candles, or Home Alone is familiar with Highland Park. The posh north shore suburb has played the idyllic backdrop for these and a host of other movies. While there, check out Ravinia, the oldest outdoor music festival in the United States. Take a day trip or spend a few nights outside of the city and experience everything the Chicagoland area has to offer. For all your car service needs in and around Chicago, trust Echo Limousine. Read what our customers have to say about us, and book your car online today.